I attended the Getting It Done II conference in Chicago on Monday and Tuesday. This was hosted by the Institute for Comprehensive Community Development, which is a venture of the Local Initiatives Support Corporation, LISC. 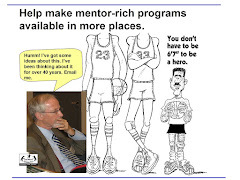 The Institute blog, written by John McCarron, who wrote this story about the Tutor/Mentor Connection in 1995, does a great job of recapping the first day. 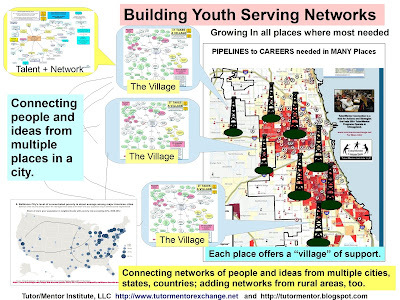 I think that leaders, volunteers, youth and supporters of tutor/mentor programs would benefit greatly by finding ways to partner with community development groups. Together their POWER to build support for youth and families would be stronger than what each can do on their own. Looks like it was a very interesting event. Great links. What Was I Thinking About! Writer? Publisher? Tell This Story. Is this a Utopian Vision?